Our doors are swinging open once again on a sunny weekend in June to celebrate over 20 years of artistry. Launch parties, new commissioned artworks, activities and our signature auction will spring up over three floors of our historic former ‘Carriage Works’ building. With a unique chance to meet over 30 artists, all working in the heart of Stokes Croft, making new work from printing to painting, illustration to sculpture, textiles to graphic design. Spend the day getting lost behind the scenes at one of Bristol’s most exciting artist studios! We’ve teamed up with Made In Bristol to celebrate local contemporary craft with a free pottery themed weekend and Makers' Fair! Inspired by the current exhibition 'Radical Clay', the weekend will feature workshops, tours and demonstrations alongside a special Makers’ Fair to showcase the region’s most skilled designer-makers. Featuring 30 wonderful stalls of illustrators, painters, jewellers, craft-makers, sculptors, and photographers, this is the perfect place to discover distinctive and unusual hand-made gifts. 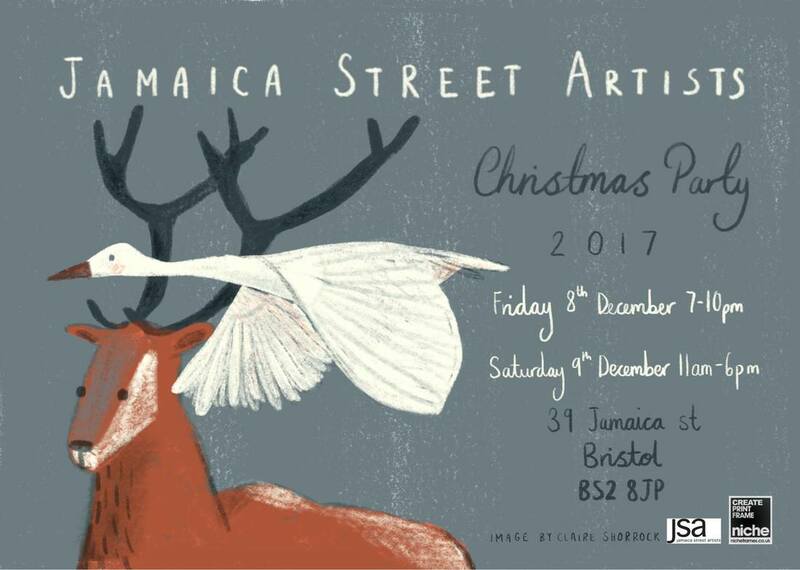 Jamaica Street Artist Studios is opening up it’s doors this Christmas. Come along for some festive frivolity! Hugglets Teddy Bear Festivals are held twice a year at Kensington Town Hall, Hornton Street, London, England. There are over 170 stands with thousands of bears on sale. • Entry tickets for each event can also be found at the back of the UK Teddy Bear Guide or can be purchased at the door (£4 adult / £2 child). • Entry times are 10.30am to 4.00pm. • Don't miss these tips for visitors - especially if you are planning your first visit. We are delighted to announce this year we will be hosting our very popular Open Studios weekend from Friday 16 June (evening launch event) through into Saturday 17 June and Sunday 18 June. Make sure you put these dates in your diary - we'll be releasing more details as it approaches. In the meantime stay up to date by following us on Instagram, Facebook and Twitter. Open Studios is a fantastic opportunity for you to get a behind-the-scenes look at the inner workings of our Grade II Listed building in central Bristol. Over the weekend we invite you into the studios to explore and there is lots to see with three floors of over 30 artists making in various forms: painting, drawing, printing, textiles, film, illustration and more. You can view photos of our previous Open Studios weekend here. An exhibition of about 50 artists devoted to dolls and 'ningyo'. Open Studios is an exciting time of year, when we open up our building for you to explore. With around 40 artists based in the building, there’s a dynamic range of artwork to see and people to meet. If you’ve been before, you’ll know not to miss it. If this is your first time, you are in for a treat. Our studio building, a grade II listed former carriageworks, is a fantastic setting for this summer event. Whether you are here to see some art, network with other creatives or just enjoy the party, there are lots of things to discover at Jamaica Street Studios. I will be showing bears and dolls in Kensington Town Hall from 10.30am - 4.00pm in Hall 4 Stand 140A. For full details and how to get the best out of the show, visit their offical website here.